The goal for any presentation can be to create slides that lead to yes ! The audience can retain limited information. The audience want to listen to you, instead of too much content on PPT slides. Show important points with image. Human process 60,000 x faster images compare to text. We can also recall information from image 6x time more easily compare to test. Consistent font, font size, line length, spacing, margin, text alignment, kerning. For consistent arrangements of components, grid functionality can be used. Simple and visually appealing slide is better compare to a cluttered slide to avoid distract and confusion. Avoid picture for decoration. Avoid too much of 3D, clip arts, word art, photos, complex visuals, lengthy text and animations. Select picture that support your message and story line in graphs. Use brand color as primary color and avoid using so many different colors. Maintain contrast between foreground and background color. Use table with detail view and summary view (total) both. Highlight key values. 5. "The Wall Street Journal Guide to Information Graphics" by Wong, Dona M.
* Now, the personal computing is more affordable compare to 1960s and 1980s due to to reduction is computing cost, storage cose and emergence of open source culture. * In 1990s all the computers are interconnected and the Internet emerged along with new business models for finance/banking, retail e-commerce and e-mail. New enterprises also got emerged. Today we are living in digital age or mobile age. * The people who born around 1995, have entered as work force around 2015. Generation Z, how to influence these 2 billion people, with different set of expectations. * Emergence of rural area. Now rural people also have access to information. * Now people feel pride to work at startups. * A new startup can be started just using WhatsApp groups. * Supportive governments and Law. Few examples of few funny laws, that exist even today. Laws are reaction to 150 years of industrial revolution. The government should not stop the growth. So Karnatak is first state in India with regulatory sandbox, where you are allowed to break (only state) law for duration ranges from 3 months to 2 years, powered by Karnataka Innovation Authority. More can be achieve on startup front with de-regularization like allowing crypto currency. * All the new innovations are becoming necessities. * Big giant companies like IBM are supporting startups by finance, by connecting them to large customer base, scaling up. They cannot continue with their own R&D center so they come to startups. Block chain based virtual idea market may emerged in next few months. * Online transactions will ultimately eliminate the need for banks. * Education: 500 Mbps bandwidth at each home, will eliminate universities. all students will study online. Then even 6th standard students will talk about Artificial Intelligence, Machine Learning, IoT, Block Chain etc. * The rule based and law based audit will change. Already after GST and demonetization the B.Com degree has more value compare to BBA or BBM. Now working people need to play different roles to remain in job market. Innovations at large enterprises are reducing jobs. On the other hand, same innovation increases the jobs at startups. The factors that drives innovations are changed based on above trends. The generation z is consumer as well as is at startups, so disruption is bound to happen. Now all enterprise needs innovation to survive or to make more profit in areas of their products, service and/or process. We know discovery is about something that already exists. Invention is one step further, by combining multiple few discoveries. Innovation goes even further by combining multiple inventions and build a use case to satisfy needs. The startups are all about building faster, better, cheaper solutions with help of inventions. Today major innovations are around (1) Artificial Intelligence, (2) data science and (3) block chain. Again startups need to focus on usage rather than the technology. 90% of startups fail due to lecuna about how to take it forward. All entrepreneurs cannot scale up their venture. Startups are risky, but design driven approach, reduces the risk. It is not important, what you study (in college/school to get your degree). The important aspect is what you continue to study. Today everyone should know, how to learn new topics, unlearn old topics and re-learn as per emerging trends. There was an interesting experiment on a patient, who daily forgets her past life. Everyday, she introduce herself, shake hands like meeting for the first time. The scientist doctor, started hurting her with small pin, during shake hand. Just in few days, she stopped shake hands with the scientist, even though she could not recover any memory associated about him. There are many research on topics of fear, fact, emotions, memory etc. * OpenAI is a non-profit AI research company, discovering and enacting the path to safe artificial general intelligence. Many projects by OpenAI on github. Ashwini Godbole emphasize on trans-disciplinary approach of brain health as per Ayurveda and modern biomedicine for brain. She also explained about clinic to lab approach. She mentioend about meaningful eating. 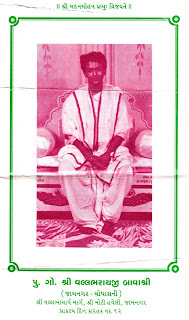 DIKSHAA means initiation. One can not grasp the spiritual knowledge using intelligence. The God, or the consciousness or the BHRAMAN is beyond intelligence. It cannot be proved or disproved with arguments. The Guru make us enter into this realm, that is beyond intelligence by means of DIKSHAA. It is a traditional ceremony, rituals, where Guru gives a secret and sacred MANTRA to the disciple. 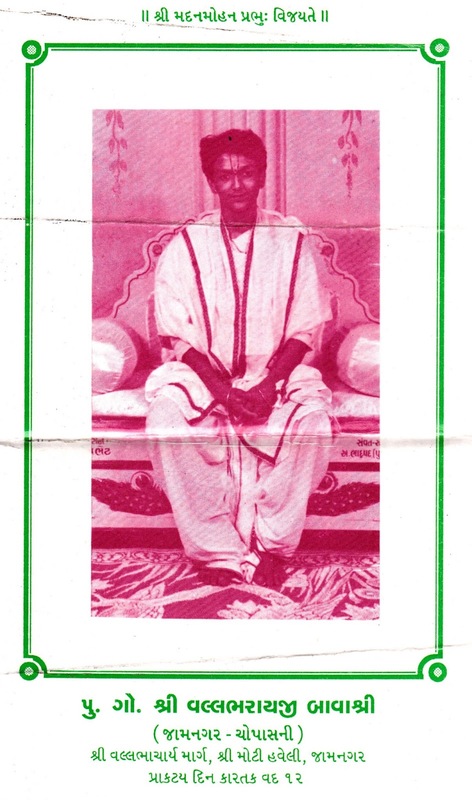 Today let me share an old photograph of my DIKSHA Guru, who initiate me with BHRAM-SAMBANDH may be around year 1993. Interesting panel discussions about AI/ML. Ajay Sharma : Machine used to crunch numbers and humans make decision. Now machines are capable of doing both. Use cases (1) use Intel Mobileye to prevent, predict accident zones. (2) CheXNeXt is deep learning for chest radiograph diagnosis. Discussion about Niti Ayog #AIforAll ICTAI (International Center for Transformative AI) etc. Aksah Ravi (gnani) talked about NLP based voice assistant products that supports Hindi, Kannada etc. Out of all AI/ML projects hardly 13 to 14 % projects are successful and only 8% of customer are happy. Some projects need their ML model to be updated every week, even every day. AI/ML business case is all about identifying and satisfying unmet and unmentioned need. Few challenges (1) AI/ML implementation needs cultural change, where man and machine both work together. (2) upskill of existing staff (3) Data is fuel for AI. More time goes to find out which data to use rather than building AI/ML model. Noise in data can cause bias. The chatbot may learn offensive language over time. (4) explain-ability of AI/ML outcome. (5) Robust governance is also important. At present, chatbots are becoming popular. Long way to go. Information architecture (IA) is must for AI/ML projects. IA is the structural design of shared information environments. Ashok Ayengar talked about shopx - buy and sale platform. Last 25 years of history big enterprise adopted new technologies like ERP and small stratup companies built eco-system around it. Many fortune 500 companies have huge legacy in range of 20 to 100 years. They need machine learning even on end-of-life servers. The collaboration at Bangalore is not seen even in developed country. Here we have hackathon, open source contribution, discussion at physical meetup etc. It is really proud to be in Bangalore. The day 1 ended with thought leaders conclave on "TechScape 2035"
The following trends are emerged. The growth of Internet was not predicated. During 90s, when Internet based innovative services and business was planned, no one predicated that everyone (4 billion people) will have smart phone. Now cost of computing come down. Technology is democratized. This growth will be accelerated further, as everything (e.g. speaker, light etc.) will have compute power, connectivity, intelligent (AI/ML). The enormous data is generated by our wearable. Evolution will happen in laboratory and new human being will be created. Excitement with fear. Now the smart software makes diagnosis smarter than doctor. In next 5 to 10 years, it will be mandatory to take second opinion from machines. People will get incentive for not being sick by health insurance and hospitals. The Indian doctors and nurses are best in the world. This is a license driven industry. Now in automobile people need : 0 emission, 0 downtime, 0 accident, and first solution is electric car. Electricity is alternate fuel. The omnipresent 3D printing will eliminate need to keep inventory of spare parts of cars. The digitization, GST have improved logistics a lot. We need more efficiency steps like: spare trailers will just replace the loaded one to save time. All these trends will empower the bottom of pyramid, surprisingly. In future, there is no concept of firm. All companies are becoming platform. Apple started as platform for iOS apps. People starts company just on WhatsApp group. Now we will see rapid consolidation of firms. So monopoly will be back. The present generation is Digital Native and generation Z Their working style is completely different. * Their life span is less than a day and then merge to trunk. CDelivery the build is not always release to production environment. CDeployment, the build is always release to production environment. webhooks : Notify external service with POST request about changes in repository. * We can add, remove steps in build "configure"
* We can configure those plugins using global tools configuration. * Pipeline feature converts GUI to "build as code". * BUILD_NUMBER is env. variable. We can add this number as tag and commit back to git repo for backward compatibility. * Test Fixture : e.g. sample data, Linux server configuration. They are also artifacts. YQ converts YAML to JSON. 2.1 Selenium2Library is plugin for Robot f/w, that connects both. * declarative (functional) Approach where you define the desired state, and the tool converges the existing system on the model. E.g. Makefile, Puppet manifest, SQL Queries. * Convergent : CM automation that converges the system to desired state. * Idempotent : The ability to execute the CM procedure repeatedly. And end up in the same state each time. The second run will not make any change. * Immutable : Not change after deployment. Can be redeploy if needed. E.g. Docker container. * Vagrant tool emulate production environment. Provisioners and providers are building blocks of Vagrant. 1. Vagrant has provisioners like Puppe, Chef, Ansible etc. 2. Vagrant has Providers like VirtualBox, Hyper-V, Docker. VMWare and AWS via plugin. It handles orchestration by state tracking and master registry. Each node reports system information to the registry. 3. Recipes belongs to cookbook. purpose of Ohai is to provide node data to Chef-client, to use within cookbooks. Adhoc script OR Capistrano framework by developers to push changes. We can include tools related to formatter and linter too as part of CUT (coding and Unit Testing) phase for developer. then etcd and HashiCorp's Consul emerged. They powers Mesos, Swarm and Kubernetes. Habitat : Application automation = Build + Deploy. It extends Chef. 1. Serverless : Basic needs. 5. Rundeck with Puppet: Update with coordination with other services. Later on, L for Lean is also added. 1. Tools should be programmable. Can invoke by API and CLI, not only GUI. How to build Trust, Respect and eliminate blame and hostility ? Organisational boundary is also communication boundary. 4. cycle time = amount of time we spend working on it. Let's see three building blocks of DevOps. Widely used are scrum, Kanban and lean. SAFe (Scaled Agile Framework) to reduce complexity for large scale implementation. * Do not accept (1) No time (2) human error . People does not fail. Process fails.